Jenny Grainger has been working as a Life Coach, Law of Attraction Coach and Inspirational Speaker since 2005 and has helped hundreds of people across Ireland to create positive and meaningful change in their lives. She sees client on a 1-1 basis at her premises near Belfast, Northern Ireland or Dublin, Ireland and she gives talks/workshops in a wide variety of different locations. 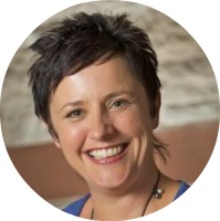 Learn more about Jenny at Fresh Start Coaching, where you can email her to book a complimentary introductory coach session.